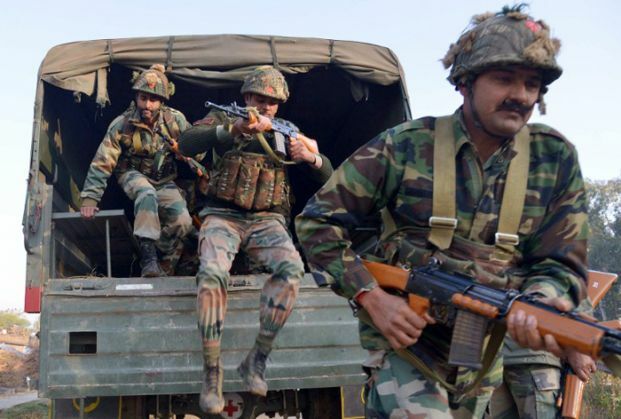 Two of the three men abducted by the terrorists before the Pathankot attack have gone missing before the Pakistan Joint Investigation Team visits Pathankot with the intention of questioning them. Gurdaspur SP Salwinder Singh had been travelling with his friend Rajesh Verma, a jeweller, and his cook Madan Gopal, when they were abducted by the terrorists. These three men were the only witnesses who saw the terrorists up close. However, as the Pakistan JIT prepared to visit Pathankot on Monday, Verma was not at home, and his shop was closed, while Gopal's family said he had left home last week and they did not know where he was, according to The Indian Express. Gopal's son said that the National Investigation Agency had summoned Gopal for "clarification" on some issues. "Five-six days ago my father received a call from the police control room that the NIA had summoned him," said Gopal's son. "The line officer handed over a letter from the NIA summoning my father, who took a train to Delhi. He said he would be allowed entry into the NIA office on the basis of the letter, so he took it with him." Gopal's son says the family does not know where he is. "He is not carrying a mobile phone," he said. "Before leaving, he told us he would stay at a gurdwara. But gurdwaras do not allow a stay of more than two days. The NIA took my father's bank passbooks and ATM cards." Meanwhile, Verma's family said he is in Pathankot, though his shop is shuttered and he was not at home. A shopkeeper said Verma's shop is closed because of an ongoing jewellers' strike.